One of the things that surprised me about this (but in retrospect maybe doesn’t) is that in the introduction Miller notes that although “Ideas matter,” history shows that “regardless of a culture’s religious or scientific views of nature, we of the human race have joined hands in reshaping and devastating the earth.” (4) I suspect Miller’s intention was to begin combatting the “Pristine Myth,” which he takes on a few pages later. But I think he gives too much of a pass to Europe’s dominant religion and its ideas about nature. Miller also, like Steinberg in Down to Earth, decides to use sustainability as a measure of cultural success, although he is critical of its anthropocentricity. But like Steinberg, Miller does not offer a solid alternative criterion that balances human and non-human values.The Pristine Myth, that “depicts precontact America as an unspoiled, lightly peopled wilderness in environmental harmony and ecological balance, is an image that manages to remain standing,” Miller says, “even though recent scholarship has cut off its legs.” (9) Miller cites recent estimates of American population in 1492 that range from 40 to 70 million, with a high of 115 million. All but 2 to 3 million of these pre-Columbian people lived in Central and South America, though. And even Down to Earth proves Miller’s point that “the story has been too often told from a North American perspective,” although Steinberg tries to adjust the typical “late beginning” with British colonization in 1607 or 1620. (10) Miller also stresses the urbanity of the pre-Columbian natives. The Aztec capitals of “Tenochtitlán and Texcoco, in the Valley of Mexico, each had more than 200,000 inhabitants, larger than contemporary Paris, London, or Lisbon…In 1492, the Valley of Mexico had 1 million inhabitants, to use the more conservative estimate.” Mexico City was America’s largest city in 1600, 1800, and 2000. (10) Jungle people planted trees they valued, and managed the forest. (18) Urban Mexicans used intensive gardening techniques in raised Chinampas to “support 15 people per hectare in the fifteenth century. Chinese agriculture, one of Eurasia’s most successful…supported fewer than three people per hectare in the same century.” (21) And the natives substantially changed the landscape surrounding their cities. “In Peru alone there are some 6,000 square kilometers of terraces, and in the region of Lake Titicaca in Bolivia there are another 5,000…many of the Andes jungled, eastern slopes, such as those of Machu Picchu, were also terraced but have been covered and torn apart by rainforest trees over the last centuries.” (23) The Incas also mined guano off the coast of Peru, and “passed harsh laws to protect it,” suggesting they may have been the first people to adopt soil amendment techniques beyond the use of animal and human manures. 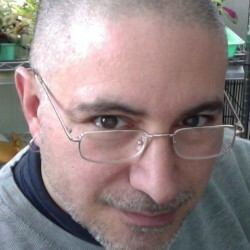 (25) Although guano was recognizably manure, which provided a conceptual framework for its use, the techniques of acquiring, distributing, and using is would have been completely different from fresh manure. The organizational skills the Incas used to take advantage of guano also helped them compensate for wide swings in crop yields by “storing large quantities of surplus food, by working collectively in the construction of their fabulous infrastructure and their fields, and by distributing their communities and their kin across an unusually broad range of altitudes and microclimates.” (26) This last element is especially interesting, and has been overlooked, I think, in North American rural history as well as South. Miller argues for a fairly high amount of cannibalism, especially among the Tupi in Brazil and the Aztecs. The Tupi, he says, had abundant sources of protein, and ate their enemies for cultural reasons. The Aztecs ate everything, MIller says, “including snakes, lizards, wasps, flying ants, and insect larvae,” as well as dogs, roasted red worms called ezcahuitli, and tecuitatl, the dried algae spirulina, which “looked like bread and tasted like cheese.” (38) Since they had none of the other European food taboos, and since they probably killed over 20,000 people a year in religious sacrifices (136,000 skulls were counted at Tenochtitlán’s main temple), Miller suggests eating the victims was the most practical way of disposing with the bodies. (39, 40) Native cannibalism continues to be a hotly contested issue, not least because the invading Europeans used it as evidence of the savagery of the inhabitants, who they thought clearly needed to be conquered, Christianized, and put to work.Unfortunately for the conquerors, most of the natives were never available for labor. “In the century after 1492,” Miller says, “some 50 million Indians vanished, more than 90 percent of America’s once vigorous populations…In the Caribbean, a region that held as many as 7 million Indians, mortalities reached 99 percent…fully 100 percent on many smaller islands. On the Mexican mainland, deaths exceeded 99 percent along the main arteries…The city of Zempoala, formerly housing some 100,000 citizens, had only 25 native inhabitants by 1550.” (50) But in spite of the human tragedy, Miller suggests that the introduction of European species and the decreased human load on the environment might be seen as a net gain to the Americas, at least in terms of biodiversity. 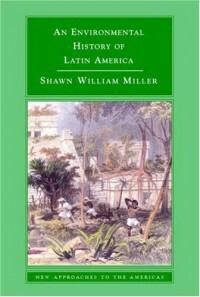 (although I think others would argue that the new species crowded out many older American plants and animals, 61) Miller tells the stories of colonial sugar and silver, mentioning that Potosí, the “world’s highest city,” had a 1660 population of 160,000, larger than Seville, Madrid, or Rome, nearly all of whose agricultural, timber, and other needs were provided by imports from other colonies like Chile. Miller describes the patio process of refining silver and gold using mercury, and notes that due to mercury’s deadliness, “indigenous mothers were reported to have crippled their children to disqualify them from work at Huancavelica.” (90) As we get into the modern era, Miller describes hookworm, vulcanization of rubber, and the Gran Canal of Mexico City (which it’s very hard to find a photo of on the web!). He tells a really interesting story of Mexican children marking their heights on steel well-casings, and returning years later to find “the landscape was sinking faster than Mexico City’s children were growing.” (147) Miller also mentions that of the sixty islands claimed under the US Guano Act, “nine of them remain U.S. attachments.” (149)Miller provides several interesting perspectives on northern hemisphere history, as well. “The intensification of world trade contacts with Peru, the home of the potato and all its endemic pathogens,” Miller suggests, “explains the coincidence of the simultaneous opening of the guano trade and the outbreak of the potato famine in guano’s primary destinations.” (154) He also points out that the Haber-Bosch process was incredibly dependent on fossil fuels (the hydrogen it bonded with atmospheric nitrogen came from coal), and that Nobel Prize winner Fritz Haber also invented chlorine, phosgene, and mustard gases for Germany’s war effort, causing his wife Clara to kill herself “within days of his return from directing the world’s first gas attack at the battle of Ypres in April 1915.” (155) In the modern era, Miller notes that “Chile relies on falling water for 60 percent of her electricity, Colombia 75 percent, and Brazil 95 percent. By contrast, the United States…gets only 13 percent of its electrical generation from dams.” (160) He says most of the projects were built to create rather than satisfy demand, which I think is a weaker criticism than “the disastrous cultural and environmental consequences” of the 1984 Tucuruí dam on the Tocantins River in Brazil. “The dam’s primary beneficiary is Alcoa…which receives two thirds of the plant’s generating capacity and employs very few people [and spends the profits it makes on the aluminum produced there outside of Brazil]. The dam’s reservoir [1100 square miles, bigger than Rhode Island] displaced 35,000 people in 17 towns and villages…all of whom lived by flood agriculture.” (162-3) Modern Latin America equals the urban density of the US and Europe, with 75% of its people living in cities. (168) But “already in 1600, 48 percent of those in Spain’s American colonies lived in cities,” before there ever were any British colonists. (169) Urban spaces are imagined differently by Latin Americans, and have grown at alarming rates. “In its 50-year growth spurt (1850-1900) London grew from 2.6 to 6.6 million, about 2.5 times. Mexico city, a century later but in the same length of time (1940-1990) grew from 1.5 to 15 million, a factor of ten.” (173) Urbanity, Miller says, leads to lower family sizes and reduced national fertility rates. “Brazil’s total fertility rate is 2.3, slightly above the long-term replacement rate of 2.1…Argentina, Costa Rica, and Uruguay, are essentially [at zero population growth]; and a few, such as Cuba, Barbados, and Chile, are already well below it.” (190)But this does not mean these nations are out of trouble, Miller says, because “while the city inhibits family fertility, it breeds household consumption.” (191) Consumerism and emulation of North American lifestyles threaten Latin American economies and environments. In a very interesting that might make a good short reading assignment in a survey class, Miller describes “Cuba’s Latest Revolution,” the “Special Period” in Cuban history that began in 1989 when Russian subsidy inputs abruptly ceased. With massive Soviet aid in the previous decades, Cuba had “developed one of the most mechanized and chemical-intensive agricultural systems” in Latin America. (230) “Before 1989,” Miller says, “Cuba imported nearly 60 percent of its food, and its citizens consumed an average of 2,800 calories per day. By 1993, average caloric intake had fallen to 1,800.” (231) Cuban agriculture, institutional gardens, and 100,000 family farmers (many of them urban) went organic, and “by the late 1990s, no longer were Cubans no longer going hungry, they were eating better food and a greater variety of it than they had in 30 years.” (233) The big question, Miler suggests, is what will happen when Fidel dies and the blockade comes off? Hopefully, the Cubans will resist the lure of American consumerism and remain a model for the rest of the western hemisphere.